Anthony Privette is a leading North Carolina traffic citation attorney dedicated to assisting clients with speeding tickets and other alleged traffic violations. Mr. Privette has helped drivers throughout North Carolina recover their regular and commercial driver’s license (CDL) by fighting tickets, as well as having traffic-related charges reduced or dismissed. The National Highway Safety Administration estimates that one in every six drivers receives a speeding ticket each year. Up to 95% of people getting ticketed pay the fine and admit guilt without contesting the citation. Those that fight the ticket usually have their case dismissed or receive reduced charges. Because regular drivers and those with CDLs rely upon their motor vehicles for work, the consequences of losing your license, even temporarily, can be dire. Beyond the inconvenience of paying for a citation or having your vehicle impounded, multiple “ticks” on your driving record can have permanent effects on your reputation and livelihood. In most cases, it is worth fighting to preserve your driving record. According to the National Motorists Association, North Carolina is one of the top 10 ticket-issuing states. You should not have to accept a tainted record, pay fines, have your car impounded, or tolerate any suspension or revocation of your license when you have a defense or justification for your conduct. An experienced North Carolina traffic citation attorney can help you fight your ticket or have your charges dismissed on a variety of legal grounds. The General Statutes of North Carolina set forth laws governing speed and other traffic violations. According to §20-141, no person shall drive at a speed greater than is reasonable and prudent under the conditions then existing. The State Transportation Department may increase or decrease the speed limit based on engineering and traffic investigations. The state may also issue traffic tickets for some offenses regardless of criminal intent. Examples of “strict liability” crimes include speeding, parking at overdue meters, a driver’s failure to use turn signals, and parking in a handicap zone without authorization. In North Carolina, speed limits apply uniformly except for overweight or oversized vehicles requiring special permits, like a CDL. A federal law, the Commercial Motor Vehicle Safety Act of 1986 (Act) makes it illegal to have more than one driver’s license. This means drivers may hold either a regular or CDL, but not both. Before the Act, commercial carriers were often unqualified drivers who shirked liability by being classified as independent contractors. Like other states, North Carolina now tests commercial drivers according to more stringent federal standards, to ensure they know how to operate the buses or trucks they drive. Under North Carolina’s General Statutes and Uniform Driver’s License Act, the Division of Motor Vehicles can revoke a CDL upon conviction of certain criminal offenses. 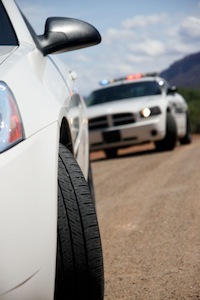 If you received a traffic citation, a skilled North Carolina traffic citation lawyer can help you fight the ticket or have the charges dismissed. However, it is important to seek legal assistance immediately. Terms on the back of the ticket often limit the time you have to fight the violation or present mitigating circumstances in your defense. Failure to act before the deadline can result in increased fines and insurance rates, not to mention a scar on your driving record. Anthony Privette has successfully defended the rights of motorists all over North Carolina, helping them resolve their traffic disputes. Mr. Privette can help you avoid high fines and any loss of your driving privileges. Call (704) 872-8125 today for a free consultation.